The air conditioning system in your car is designed to cool down the air in the cabin of your vehicle to keep you comfortable on a hot day. When you only get hot air instead of cold air, it can be frustrating and extremely uncomfortable. In this article, we’re going to look at how your Car’s A/C creates the cold air so you can more accurately diagnose what’s going wrong. The cool air is created by blowing air from either outside your car, or from the cabin over cold coils. This cools down the air before it gets blown out of the vents into your car to keep you comfortable. Most systems are designed to blow very cold air, between 32 and 40 degrees! These cooling coils, called the evaporator, is where the actual cooling of the air happens. These coils are cooled by cold refrigerant flowing through them. Most cars today use a refrigerant called R-134a which is a special refrigerant designed to work at the temperatures and pressure standard in a car’s A/C system. As the cold refrigerant passes through the evaporator it absorbs the heat in the air which warms up the refrigerant. This warmer refrigerant now needs to be cooled back down so your A/C system can continue to operate. This is accomplished by first compressing the refrigerant to a high pressure which also heats it up to a high temperature. This hot refrigerant is then cooled down by running it through the condenser. 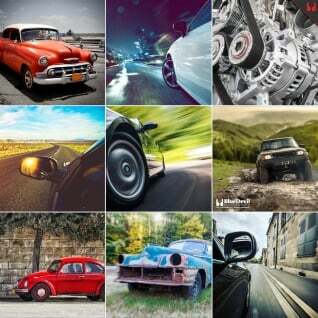 The condenser is cooled by ambient air in the front of your car just like the coolant in the radiator is cooled. On most cars the condenser is actually in front of the radiator and gets cooled first to make sure your A/C system gives you consistently cool air. This high pressure, now cooled, refrigerant is then allowed to expand quickly as it passes through an orifice or expansion valve. The expansion valve is a simple device that takes advantage of the fact that quickly expanding liquids and gases get cold. The process of liquids and gases getting cold during expansion is a scientific phenomenon you can prove by using an entire can of spray paint in one sitting and seeing how cold the can gets. Now the cold, low-pressure refrigerant can return to the evaporator to cool it and along with it, more air keeping your car comfortable. There are a few other components in the system like temperature and pressure sensors, hoses and the dryer or accumulator. The dryer is where any moisture is removed from the refrigerant, the refrigerant is filtered to make sure it all enters the compressor as a gas, and the oil for the system is equally distributed through the refrigerant passing through. If your car’s is blowing hot air then one of these systems isn’t doing its job properly. Since there are two components that require air to be moving through them, the evaporator and the condenser, it is possible one or both of these are clogged and not getting the proper air flow. Check the front of your vehicle for debris, the engine cooling fans for proper operation, and your cabin air filter for debris and dirt. The refrigerant in your system also needs to be able to flow properly through the system. Check your compressor for proper operation, clogs in your system and the proper amount of refrigerant. All of these can be checked by observing the pressures around the system both before and after the compressor and all the other components. This can be done with set of A/C gauges to measure both the high and low pressure sides of your A/C system. If you find unusually high pressure before any particular components and unexpectedly low pressures after them, there is a good chance there is a clog in that component. If this is the case, you will most likely find the clog in the accumulator or the condenser. If you don’t have a large enough pressure increase across your compressor you may be in need of a new AC compressor. If you have lower than expected pressures on the low pressure side of your system, may simply have a low refrigerant level. If you do not have enough refrigerant in your car’s A/C system the compressor may not be able to raise the system pressure high enough for the expansion valve to be effective in cooling down the refrigerant. Due to the high pressures of your air conditioning system and the volatile nature of the R-134a refrigerant used, it is not uncommon for some of the refrigerant to leak out over time causing a low pressure condition in your system. If you discover this to be the reason why your A/C is blowing hot air add Red Angel A/C Stop Leak to your vehicle’s air conditioning system to seal any leaks no matter how small they are before you recharge the system. Red Angel A/C Stop Leak One Shot comes in an easy to use aerosol can that can be installed quickly and easily without any tools and also contains 2.5 ounces of R-134a to help bring your system back up to normal operating pressure. Why don’t any of the email addresses published on the BD website work? All of the email addresses work. We receive and send multiple emails daily. I will email you now directly. Thanks for your question about your CLK430. More often than not, when a car is blowing hot air only at a stop, the problem is with the electric cooling fans. Those fans should kick on when you turn your air conditioning on to keep enough air moving through the condenser while you’re stopped. If you don’t see or hear these fans try checking electrical connections, fuses and relays. If the fans are coming on, the problem is most likely with your air conditioning system and you should have the pressures around the system checked to see what components are malfunctioning or if you have a leak. Thanks for your question about your 2006 Buick Lacrosse. Most likely, you either have an overfilled system or broken condenser fans. If your system has too much refrigerant in it, the pressure will quickly get too high when you first turn it on causing it to trip off on over-pressure then as things cool down it would kick back on. Similarly, if your AC condenser fan isn’t working, your air conditioning would blow cold until the condenser got heat soaked then it would stop working until you were up to cruising speed then the air blowing over the condenser while driving would cool it down and keep things working. Thank you for asking about your Nissan Altima. Based on your description, it is possible your fresh air/recirculating motor is faulty, as it sounds like it is only pulling in hot air. We recommend a trip to an A/C specialist to check on the motor and make sure it is connected properly. Thanks for your question about the air conditioning in your Toyota Camry. The symptoms you’re seeing in your air conditioning system could indicate that the system is overfilled with refrigerant so you could try checking the specifications again for the amount of refrigerant your car takes to make sure the right amount was installed. If you’re sure you’ve got the right amount of refrigerant, it sounds like you may have some clogs in the system from when it was accidentally opened. Clogs often form in the expansion valve or the dryer which could cause the indications you’re seeing. Unfortunately, you would need to replace those components to remove the clogs. I have a similar issue and would like to add detail. My 2014 Nissan Altima’s air conditioner works normal when it’s cool out, like in the morning. Once I leave work, the temperature outside is 90+, my air conditioner will blow cold only when I am accelerating. But once I’m idle-ling, it blows hot air again. I’ve checked, it has freon. Any suggestions on what this could be? Thanks for your question about your 2014 Nissan Altima. It’s possible that your system has too much refrigerant in it so the pressure is getting too high when you are driving and your compressor is spinning quickly with higher engine RPMs. Too high of a pressure can trip your system off on an over-pressure fault and cause it to start blowing hot air. To prove this you would have to check your AC high side pressure it a higher engine RPM after your car has been warmed up. Thank you for asking about your Lexus RX 350. Did you mean topping off the refrigerant or adding fuel? Please contact our technical support line at 888-863-0426 so that we can get a little better understanding of the vehicle’s condition and be able to make any appropriate recommendations. It sounds like your leak is a little bit too extreme for what the Red Angel is intended to fix. Your best bet may be to take the Buick into an A/C specialist to be repaired. I have problem with my ford cougar 1999 A/C Does not matter what settings is on, it always blows cold, freezing cold air. Its like the setings stuck in cold air setings. When i change settings, i hear the valves moving, changing and air flow is changing too, but it always blows only cold air. I checked the pressure of low and high pressure valves and they are correct (Low just below 50 and hig below 200). When i start car and turn a/c on to warm or cold settings, the pipes around engine gets frozen white. Antifreeze levels are full to the max point. I have ordered thermostat, will try to change it, but not sure if that will help. I never hade this problem before, so have no clue what to check. The compressor looks like it working as it should be. Any ideas what can be wrong? Thanks for your question about your AC. It sounds like the problem is with your heater not your AC. Even if your AC is on, your heater should still warm the air back up. Your problem could be in your ventilation system. Even if the motors are moving the flapper door that should direct air over the heater core may not be moving. To check this, you’ll have to dig into your vent ducts and test that flapper door. The other problem is that your heater core could be clogged, or your thermostat stuck open. If your thermostat is stuck open, you’d notice the temperature staying very low in your car for a long time after starting. If your heater core is clogged, try using BlueDevil Radiator Flush (available here: http://store.gobdp.com/radiator-flush-00204/). I have a 2006 Skoda Octavia 1.9TDI. On hot days, when i get into the car and turn on the AC, nothing happens. I just get warm air flowing out of the vents. After 20 or thirty minutes of driving, when i turn of the AC and turn it back (1 minute delay), the AC starts working. Also, it doesn’t cool on such hot afternoons unless the blower speed is set to position 2 or 3. I rarely use position 4 cos its noisy. However on cool evenings and mornings, the AC blow cool air instantly. The refrigerant is fully recharged. My condenser is a new one. . Sometimes when i turn the blower speed down to 1 or adjust the temperature (from 18 degree Celcius to a comfortable 22 degrees Celcius), the AC cuts off and doesn’t come on again. I have checked the cabin air temperature sensor and it works fine and i have had to change it to see if things will improve but it didn’t change anything. Thanks for your question about your Skoda Octavia. There are a few possible problems you might be having. First, you might have a faulty pressure switch in your system. On warm days the pressure in your AC system is higher and if your pressure sensor is faulty and reading too high it might trip the system off on warmer days. Second, it could be that your AC clutch is malfunctioning and on warmer days, or when more load is on the system it fails to engage the AC compressor which would cause your system to not operate correctly. Lastly, there could be a clog in your system that only causes problems on warmer days when pressures are high. I have a 2004 Chevy Tahoe that intermittently blows hot air when the A/C is on. I hear a clicking sound for a few minutes and then the hot air comes out. Just by accident, I found that if I pull over and turn the car off and then turn it back on, the A/C resumes. Any ideas of what is causing this problem? Thanks for your question about your Chevy Tahoe. The problem you’re having sounds like it’s actually a problem with your ventilation control unit. The clicking sound you’re hearing is probably the air blend doors moving or trying to move behind the dash until the blend door moves to the “hot” position directing the air over your heater core so it comes out of the vents warm. When you shut your car off for a short time it resets the unit. You can try pulling the fuse for heater control unit for a few minutes, then replace it and turn you truck on the set your ventilation control unit into calibration mode. If that doesn’t fix the problem then the servo motor or the door placement indicator is probably bad sending a bad signal to the control unit. hi i have a 2007 ford freestyle. The A/C blows hot/ warm at idle and driving. I can hear the compressor turn on when I hit the button. The low pressure port is 100 lbs which sounds high to me and when I checked the high pressure port a bunch of yellow greasy liquid came out any ideas on how to solve this? I am a DIY guy but have little experience with A/C and trying to learn. Thanks for your question about your Ford Freestyle. Depending on if your compressor was running or not, 100psi does sound high for your system. To check the high pressure side you’ll need a set of mechanics AC gauges. With a set of gauges you should be able to tell if your system is overfilled with refrigerant, if the compressor is working properly and if there is a clog in your system which are the three most likely problems you’re having based on your description. I have 2008 Nissan Altima. I put Freon in and it worked for like a month, then hot air again. I took it to a shop and they fixed a leak and it worked perfect for 5 days now today it was hot air again after 45 mins it was finally cold. Could this be a more serious issue like needling to replace the condenser and compressor? Thanks for your question about your Altima. Based on how long it takes for your AC to get cold, it sounds like you’ve got a clogged component in your system, possibly the expansion valve or the dryer. It is possible that your compressor is going bad as well, but less likely. To check for all of these problems you’ll need check the high side pressure in your system. If it is too high then you’ve most likely got a clog, and if it is too low then your compressor may be failing. Thank you for asking about your Mercedes Benz c230. An improper level of refrigerant can cause the system to not give you proper cooling. Whether the refrigerant is too low or there is too much refrigerant, it could cause the issue you have described. We recommend checking the refrigerant level and adding/draining refrigerant as needed. I have a 2003 Chevy Silverado my AC was blowing cool air not cold up until a couple days ago. I bought some air conditioning recharging fluid put the gauge on there so that it was a little low. Then I added some until the gauge read in the blue where it should be but now my system only blows hot air I have no clue why. Somebody help me please. Thanks for your question about your Chevy Silverado. The gauges on the refill AC cans are not vehicle specific so it is possible that your system is now overfilled with refrigerant. That could cause it to trip off on over pressure or for your dryer to not be able to keep up with the extra refrigerant which would also cause your system to shut down. If you use a recharge can that has a particulate leak stop agent you could also have a clog in your system which would keep it from operating properly. Lastly, you could have a large leak in your system and even though you just added refrigerant, it’s all leaked out so you could try checking the low side pressure with the gauge again just to verify you don’t have a large leak. I have a 2007 Toyota Camry. My air conditioner is acting crazy. It blows cold air when it’s not real hot outside like 75 degrees. Then when it gets hot outside it blows warm air. Mechanic measured freon and it was OK. Do you know what the problem could be? Thanks for your question about your Camry. Based on your description your system could be over filled with refrigerant or you may have a faulty pressure or temperature switch. On warmer days, your AC system pressures get very high so if it’s overfilled it could be tripping off on an overpressure causing the warm air and if you have a bad pressure or temperature sensor it could be inadvertently shutting your system down because the sensor is reading incorrectly. Thanks for your question about your Buick Century. It sounds like your problem is with your ventilation system. When you change the temperature switch it should move an air blend door which directs air either over your AC cooling coils or your heater core. If the motor that moves this door, or the door itself is damaged then it would cause the same temperature air to blow out of the vents no matter what. unfortunately to get to the air blend door to check it you have to remove a significant amount of your dashboard and air ducting. My air conditioner was blowing cold air. We replaced the thermostat in my 2002 Ford Taurus and the air flow coming from the air conditioner immediately began blowing warm air. We checked the freon and the compressor, and everything seems fin. Thank you for asking about your Ford Taurus. Based on your description, you may have some kind of a restriction in the system, not allowing proper circulation. We recommend bringing the vehicle to an A/C specialist for an A/C Flush. Feel free to contact our technical support line at 888-863-0426 with any other questions. Thanks for your question about your Corolla. Your mechanic was correct that 62 degrees is a bit warm for air conditioned air. Hopefully, by adding more refrigerant your system simply got over filled and has shut off due to a high pressure switch being triggered. You can try checking your high pressure side pressure to see if it’s outside of the normal operating range to prove that is what’s happening. There are some other remotely possible things that happened like the fill valve got stuck open after he removed the AC machine, or that it was contaminated refrigerant. Hopefully if you take your vehicle back to that mechanic he will be able to check his work and determine what the problem is. Thanks for your question about your Honda Accord. Usually, with intermittent problems like you’re describing it is an electrical issue. You might have a bad connection for the signal wire to your compressor, a bad pressure or temperature sensor somewhere, or even a problem with your electric fans. Chasing down electrical issues can be a frustrating and time-consuming process, but if you’re willing to try it, start by reading our article about that here: https://gobdp.com/blog/diagnosing-electrical-problems/. I have a 2011 ford fusion. I noticed issues with the ac when i would turn it on i can hear everything come on. Air would be blowing cold for 2 seconds and then it switches to hot air. And i mean hot like a blow dryer in your face. We thought it was the evap sensor so we pulled the dash and changed it. It worked last night. I got in my car today and it’s not working again. We checked the freon levels and it is normal. What are we missing? What could it be? Please help! Thanks for your question about your 2011 Ford Fusion. Based on your description of how hot the air blowing out is, our guess is that you’ve actually got a problem with your ventilation system. There is a door in your ventilation system that directs the vent air either over the cooling coils or the heater core and it sounds like that is malfunctioning in your car and it’s switching to the “heat” position when you don’t want it to. This may be a problem with the servo controlling the door or with the computer module in your ventilation system. You can try checking the servo for operation but you may have to take your car to a Ford dealership to have them run a diagnostic on the ventilation module. Thanks for your question about your Nissan xTrail. Based on your description it sounds like your automatic HVAC controls are malfunctioning. The problem could be coming from a bad sensor or a bad HVAC module. Unforutenetly, the only way to test those components is with a special computer from a Nissan technician so without replacing parts that may or may not be good, your best bet is to take your vehicle to the dealership. I have a 2007 Honda Accord. My air conditioner blows out really hot air unless I turn the temperature setting to 66 or lower. Sometimes it blows hot out of one vent and cool out of the other side. Thanks for your question about your 2007 Honda Accord. Since the AC does get cold at certain settings and you get different temperatures from different vents, it sounds like the problem is actually with your ventilation controls rather than your air conditioning system. There are a series of small motors that control flapper doors in your vent ducts that direct the air over the heater or cooling coils and it sounds like either the motor or door is broken causing the air to not go where you’re asking it to being heated or partially heated. These motors and doors are located behind your dashboard and take a good amount of work to get to so you may consider taking your vehicle to a mechanic to have them checked out. I have a toyota corolla 2003. my car ac only works for about an hour and it starts blowing warm air thereafter, the first ac guy said it needed recharging which i did recharge, yet the problem persisted, another said there is a leakage in the evaporator,from much research i believe my air vent had accumulated a lot of leaves and other organic debris that probably have clogged my evaporator. in this case what can i do. Thank you for asking about your Toyota Corolla. Based on your description, we recommend taking your vehicle to an A/C specialist and having a A/C flush performed. They can dismantle the evaporator itself and flush it out specifically to get rid of any debris in the system. I filled my 97 Sentra with acpro it was very cold.couple days later ac blows warm what do you recommend. Do you happen to know where the leak is coming from? Are you losing a lot of refrigerant or is it more of a slight leak? Please contact our technical support line at 888-863-0426 so that we can get a better understanding of the vehicle’s condition and be able to make any appropriate recommendations. I have a Nissan Altima 2011 Saturday morning my a/c in the car was working fine. Then in the afternoon all of a sudden it’s been blowing hot air. I check the coolant it’s full and there’s no leak. What you think might be the issue? Thank you for asking about your Nissan Altima. Based on your description, there may be an issue with the condenser not functioning properly. 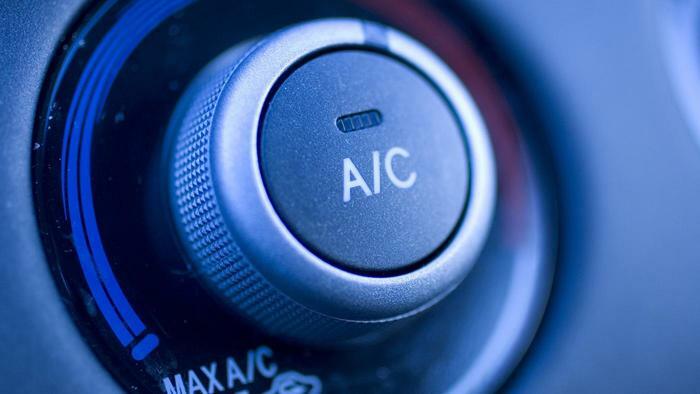 If you are not noticing a loss of refrigerant, you may want to bring the vehicle in to an A/C specialist for a possible hard part replacement. Hello. I have a 01 Grand Am and the air has always worked. Even if my a/c was off and my control knob was on cool, cool air passed through the vents. I recently had my heater core replaced and my mechanic said he had to undo the a/c lines to replace the heater core. Im yet to refill the system with more freon because I am doubtful refilling the system will fix the problem. I have hot air blowing through my vents at all times. Even if the knob is in the off position. Did my mechanic do something wrong or do I need to refill the system for the problem to go away? Thank you for asking about your Pontiac Grand Am. Low refrigerant levels would explain the hot air you are experiencing. It is also possible, that due to the mechanic having to undo a/c lines to get to the heater core, that one of the lines was not put back on properly. You can refill the system and see if that corrects the issue. If not, there is probably a connection hose or line that is not properly connected. Thank you for asking about your Nissan Altima. Based on your description, it would be tough to say that a bad compressor is the reason for the delay you are experiencing. There could also be some kind of a restriction in the system causing the delay of the cold air. You can try flushing the A/C system first to see if that alleviates the situation. Hi, I have a 2011 Toyota Camry and when I turn my a/c on it blows out hot air but then I’ll completely turn the car off and restart it and it will blow out cold air. This has happened 3 times so far this spring, do you know what the issue could possibly be? Thank you for asking about your Toyota Camry. A slow loss of refrigerant may be giving you the symptoms you’ve described. We recommend first checking the refrigerant level to ensure it is topped off to the proper level. If not, the Red Angel A/C Stop Leak & Conditioner (http://store.gobdp.com/a-c-stop-leak-aerosol-00222/) would be your best bet in sealing your A/C leak. Feel free to contact our technical support line at 888-863-0426 with any other questions. Hi, I have a 2007 Ford Explorer and my ac is blowing warm air, added freon but still warm air, my compressor will run for about 4 seconds then shut off for about 4 seconds , then run for 4 seconds, will do this continuously until I turn vehicle off,the fans run, air filter is clean, radiator appears to be clean, what could my issue be? Thanks for your question about your 2007 Explorer. Based on your description of how the compressor functions it could be that your system is overfilled with refrigerant, that you’ve got a clog somewhere in your system or you’ve got a bad sensor somewhere. unfortunately, to find out which the problem is, you’ll have to check the high and low side pressures in your system. For more information about that, try checking out our article about AC troubleshooting here: http://goredangel.com/blog/ac-trouble-shooting-tips/. I have a 2006 chevy malbui my a/c is blowing out hot air I put 1 can and half can of freon in it it still blows hot air and then it blow cold air then goes back to blowing hot air again what could cause that,. Thank you for asking about your Chevy Malibu. Based on your description, it sounds like you are experiencing the symptoms of a refrigerant leak. We recommend using the Red Angel A/C Stop Leak to get your system back to normal functionality. You would want to have the system evacuated prior to adding the product and then you would be able to top it off with refrigerant after the leak was sealed. 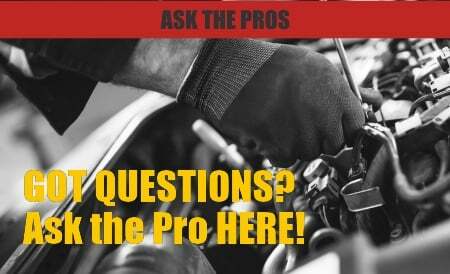 Thanks for your question about your 1996 Dodge Dakota. Our first recommendation would be to check around the rear of the motor to see if any air conditioning lines may have been damaged during the maintenance. It would most likely be the lines going to and from the evaporator through the firewall. The other thing to check for would be loose electrical or vacuum connections that may be affecting the compressor getting the signal to turn on or the air blend door actuator from properly moving the air blend door to the “cool” setting. It is also possible that it is simply a coincidence that your air conditioning malfunction after the transmission rebuild so you should consider checking the high and low side pressures to see if they are abnormal. Have a 99 dodge van. The AC blows warm air, checked the refrigerant pressure read full/ normal range. I know that you can press the pin in to allow the fluid to come out, and visually see. Nothing happened. You can hear like air coming out. Is it possible that a line is clogged? Thank you for asking about your Dodge Van. Based on your description, it is possible that a line or port has become restricted and is not allowing proper flow. We recommend bringing the vehicle to an A/C specialist for a system flush and see if that corrects the issue. Thank you for asking about your Dodge Ram 1500. Based on your description, it is possible the wrap core is clogged. We recommend bringing the vehicle to an A/C specialist for a system flush. This should get the a/c blowing cold again. I have a 1999 Ford F150. When I first turn the a/c on it will blow cold. Once i start moving it goes hot. If i’m moving when I turn it on and don’t stop it will stay cold, (like driving on the interstate) but once I stop and then start moving again it goes hot. Thank you for asking about your Ford F-150. From the sounds of it, you may have a slow refrigerant leak, which is not allowing the system to continuously blow cold air. We recommend using the Red Angel A/C Stop Leak (http://store.gobdp.com/a-c-stop-leak-49496/) and then topping the system off with the proper amount of refrigerant. Thank you for asking about your Honda Odyssey. A loss of refrigerant could cause the issues you are experiencing. We recommend using the Red Angel A/C Stop Leak (http://store.gobdp.com/a-c-stop-leak-49496/ ) and then topping the system off with the proper amount of refrigerant. Feel free to contact our technical support line at 888-863-0426 with any other questions. Thanks for your question about your AC Compressor. It’s difficult to tell what your problem might be based on the relay bypass you mentioned. If the pressures are as expected and your system is cooling properly, having your compressor constantly running shouldn’t damage the compressor or the system. Any time a system is converted from one refrigerant to another it also makes diagnosing problems difficult since the system is operating as it was originally designed. I have an 04 Honda CRV. I had the o8l changed the other day & was told that he thought i might hav a small leak somewhere. Then the a/c stopped working….blowing hot air. Does it need freon or is it the compressor??? Thank you for asking about your Honda CRV. We recommend checking the refrigerant level to make sure it is reading at the proper level. If it appears low, use the Red Angel A/C Stop Leak (http://store.gobdp.com/a-c-stop-leak-aerosol-00222/) to help stop the loss of refrigerant. Hi we have a 2003 Dodge Caravan and having issues with hot air blowing out when Air Conditioner is on. Freon and Fuse were checked and is ok. Freon is fully charged. Any suggestions? Thank you for asking about your Dodge Caravan. Based on your description, it is possible you are experiencing a slow refrigerant leak. We recommend using the Red Angel A/C Stop Leak (http://store.gobdp.com/a-c-stop-leak-aerosol-00222/) to help stop the loss of refrigerant and get the system back to normal functionality. Thank you for asking about your Nissan Altima. Based on your description, it sounds like you are experiencing a refrigerant leak, although it would be tough to say where the leak is coming from. We recommend using the Red Angel A/C Stop Leak (http://store.gobdp.com/a-c-stop-leak-aerosol-00222/) to help stop the loss of refrigerant and get the system back to normal functionality. Hi I have a 03′ Toyota Corolla LE and the A/C does turn on. If you turn the dial to hot, the air is hot, but if you turn it to cold/cool it is just normal temperature. What could be the problem/ what could I do? Thank you for asking about your Toyota Corolla LE. Based on your description, it sounds like you are experiencing a slight refrigerant leak. We recommend using the Red Angel A/C Stop Leak (http://store.gobdp.com/a-c-stop-leak-aerosol-00222/) to help stop the loss of refrigerant and get the system back to normal functionality. Feel free to contact our technical support line at 888-863-0426 with any other questions. Thank you for asking about your Toyota Matrix. Based on your description, we agree that the compressor should be replaced. After having it serviced and noticing a leak, your best option would be to replace the compressor. Hi, I have a Ford Explorer 1997 and after beeing on a rough 4wd track it only blows hot air. Even when the a/c is on off, hot air is blowing out of the vents. I noticed roughly one month before on a long drive on a warm day lots of ice around a hose connected to the drier and always lots of condense water dripping on stops, probably from the ice melting. Thank you for asking about your Ford Explorer. Based on your description, it is possible that the indoor unit’s evaporator coil is frozen solid and cold liquid refrigerant is flowing to the outside unit through the refrigerant line, which is likely why it’s covered in ice. We recommend turning off your AC and turning the fan setting to “On.” This will unfreeze the evaporator coil and prevent any damage to the compressor. Thanks a lot for your reply. I researched a lot and also used your excellet a/c troubleshooting instruction. Altough it still doesnt work, I made a few discoveries. 1a) When driving I turn off the a/c and fan, turn the blender from hot to cold, turn the fan and a/c back on it does blow cold air. 1b) The above technique doesnt work when accelerating with full throttle. 2a) Normally the air would only blow through the vents for the windscreen (also before I had the problem with no cold air). When i turn to the only fan option which doesnt use the a/c and have the fan on lowest strength, it blows out of the correct fans. 2b) As soon as I use the trottle or set the fan to max strength, air only blows out of the windscreen vents. It seems to me as if the accumulators of the blender and vent doors somehow dont receive enough power or the doors might be stuck somehow? 3a) When I start the vehicle and have the a/c on the cooldest setting and the fan on the weakest position, cold air is coming out of the vents. The tubes going from the evaporator to the drier and from there to the compressor are extremly cold. 3b) When change the fan to the max and leave the a/c, the air from the vents isnt cold anymore, as well the tubes described above are not cold anymore. The compressor clutch starts to engage and disengage regularly. 4) When I turn the motor off, I hear air or gas escaping with droping pressure until the sound dies. From the compressorr or maybe a leak? Thanks for your detailed description of what’s happening with your AC system. Based on point 3b it’s difficult to say that your problem is only with your ventilation system and it’s possible that your air conditioning system isn’t functioning at full capacity so it may be worth having the system’s pressures checked to make sure it’s functioning at full capacity so you can properly diagnose your ventilation system. All the games you have to play to get cold air to blow from the right vents does sound more like the flapper doors in your ventilation system are actually blocked or broken rather than the actuators being bad. It may be worth opening up your ventilation system to check the condition of the doors and look for blockage. Hello, I’m John and I have some problems with my Volkswagen Passat’s air conditioning system. I have had it checked by a Volkswagen dealership but they say that everything is fine. 1) First, my Passat is blowing warm-to-slightly cool air even when the A/C is set to the lowest temperature with maximum fan speed when it is hot outside, and it leaves me sweating inside the car. But it works fine and blows normal cold air when it is cool outside. What could be the problem? 2) Secondly, my Passat is a Right-Hand Drive (Asian) variant, and the vents (each at both sides, and two at middle) are not working equally. The vents on the left and middle-left are blowing warm air whenever the A/C is switched on, and they requires a very long time to blow slightly cool air when it is hot outside. Even when it cool outside, the left vent tend to blow warmer air and takes longer time to finally blow cold air. The vents on the right and middle-right always blow cooler air and takes shorter time to do that, but they still blow not-cold-enough air during hot weather. What is the problem there? 3) Thirdly, this might not be an actual problem, but I have observed that whenever my A/C is turned on, there is a high pitched sound, it sounds like highly-pressurised air is passing through the dashboard, and the sound slowly fades off after a moment. Here are my 3 problems regarding my 2014 Volkswagen Passat, I would really appreciate your kind assistance. Thanks. Thanks for your question about your Volkswagen Passat. In our experience, if you’re having multiple symptoms they can often be related back to a single problem. Since you mentioned different temperatures coming from each vent, out guess is that you’ve got a problem with your ventilation system, most likely a blockage in the air box causing the air blend door to not close fully and the air flow to be disrupted to the vents. Try removing your air box and checking for debris or damage to the flapper door. The hissing sound you mentioned could be the normal sound of refrigerant flowing through your evaporator or it could indicate that you’ve got a clog in the system there. You can try checking the high-pressure side of your air conditioning system to see if you can find evidence of a clog. Thanks for your question about your Nissan Altima. It is not normal for the refrigerant to come out of the high-pressure port of your air conditioning system. It sounds like the high-pressure port valve may have failed in your car and should be replaced. I have a chrsyler 200 2011 v6. The AC blows okay and just okay. Its definitely not hot air and if i had to guess i’d say its blowing low 70s/high 60s but kind of weak. Its not as frigid cold as it used to be. I can sometimes see ghostly vapors blowing if i look at a vent from an odd angle in the sunlight. Any ideas or clues? Thanks for your question about your Chrysler 200. It’s possible that you’ve got a small refrigerant leak in your evaporator. That would lower the refrigerant levels in your air conditioning system causing it to be inefficient and not cool as well and could be the vapors you’re seeing from your vents. If you find this to be the case, use Red Angel A/C Stop Leak to seal up the leak. The other possibility is that you’ve got a clogged cabin air filter or your evaporator is icing over reducing air flow causing the air to warm up before it gets out of the vents and would add moisture to the air causing the vapors you’re seeing. If this is the case, try changing your cabin air filter and checking the high side pressure in your air conditioning system. Thanks for your question about your 2000 Accord. Often times if things work properly in your AC until the temperatures get too hot it is either due to a clog in your system or because your system is overfilled. You could try checking both the high and low pressures on a very hot day and see if the pressures indicate the system is overfilled. If that is the case, your mechanic would be able to rectify the problem by recovery and refilling the system again with the correct amount of refrigerant. If the system has the correct amount of refrigerant but there is a clog, it could cause an extremely high pressure on a hot day and similarly trip the system off due to the overpressure. If your system has multiple high-pressure test ports you may be able to locate the clog but if it doesn’t your mechanic is correct that you would have to replace multiple components basically guessing at where the clog is. I had the compressor replaced in my 06 CRV last September, $1500. Now my a/c works, but when I’m at an idle it turns warm and if it idles for too long, it starts to overheat. Any ideas? Thank you for asking about your Honda CRV. Based on your description, it is possible that a faulty condenser fan is causing the air to blow warm at idle, and could also explain why the vehicle starts to overheat. When you’re driving, the fan is cooling the refrigerant inside the condenser, and at idle, it isn’t getting sufficient airflow for cooling. You can check the fans and see if they’re turning on and doing their normal cycle and check that the compressor clutch is coming on. I have a 2014 Mustang and it will first blow cold air but then 5-10 minutes into driving it will release a wierd A/C smell, then start blowing warm/hot air. Thank you for asking about your Ford Mustang. If you are smelling an A/C smell, there is a good chance you are experiencing a refrigerant leak. We recommend using the Red Angel A/C Stop Leak (https://store.gobdp.com/a-c-stop-leak-aerosol-00222/) to help stop the loss of refrigerant and get the A/C system back to normal functionality. 2009 Honda Civic Si. When I first start it up, it blows cold and if I just sit there it blows cold for at least 20 mins(that was how long i just let it run so could be indefinite). When I start driving, after 5 to 10 mins it blows Luke warm. I have replaced relays and made sure there was enough refrigerant in the system. Both fans were running at idle. Any ideas would be appreciated. Thanks for your question about your 2009 Honda Civic. It’s possible that your air conditioning system is overfilled and when your engine is at a higher RPM the pressure gets too high and the system trips off on overpressure. A clog somewhere in your system could also cause a similar problem. To check for this you would have to use a set of mechanic’s AC gauges to read the high-pressure side and do so with the engine above idle speed. 2009 Uplander repaired line to rear and took it in had it vacuumed and filled – worked good at first but after a month no a/c. Have tried to fill in case it leaked but pressure seems good – compressor cycles, condenser fan cycles like normal, but only blows hot air (front or rear). Thank you for asking about your Chevrolet Uplander. The fact that the A/C ran well for a month after the repair was performed sounds as though you are experiencing a slow refrigerant leak. Based on your description, we recommend using the Red Angel A/C Stop Leak. This will stop the loss of refrigerant and return the A/C to normal functionality. My 2013 VW Passat blows hot air (like a heater) most mornings. It seems to happen when the car has been sitting for some time regardless of the temperature outside. After about five minutes, it blows cooler, but not as cold as it used to. I also smell a moist smell in the vehicle and feel that the cool air has moisture to it if that makes sense. Any advice? Thank you for asking about your Volkswagen Passat. 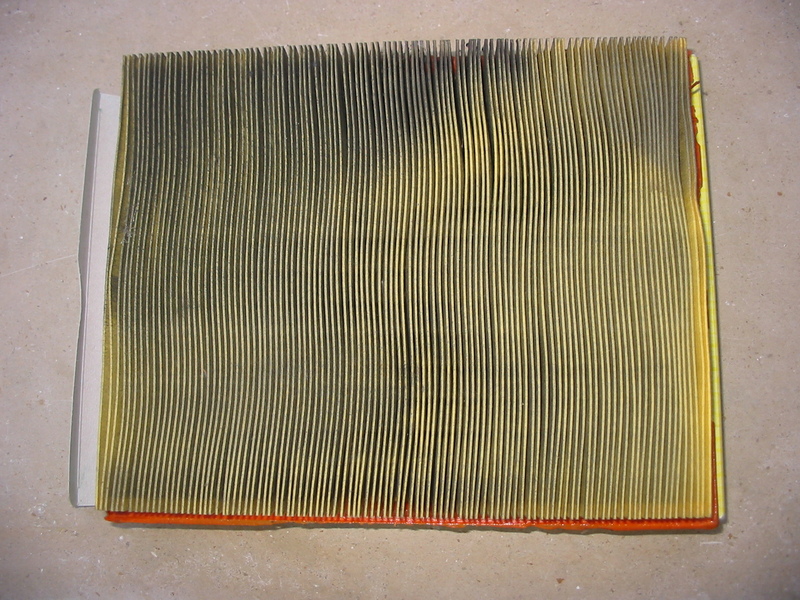 Based on your description, you most likely are experiencing a leak coming from the evaporator or cooling coils. The air is not being cooled initially as it should, which would be the responsibility of the evaporator. We recommend using the Red Angel A/C Stop Leak(https://store.gobdp.com/a-c-stop-leak-aerosol-00222/) to help stop the loss of refrigerant and return the system back to normal functionality. 1. At first the Ac worked fine but after driving it for a while or when in traffic, it trips off or so and starts blowing hot air and then it takes a while (like a really long while) to start blowing cold air again. 3. I have checked the pressure levels on both the high and low sides (both in the morning and afternoon when its hot) and they all checked out normally. 4. whenever the ac is blowing hot air, the fans were working and also the compressor was engaged and working. 5. The hot air problem on hot days started one morning when it was cold and i turned on the fan and raised the temperature to warm up the car. after that i turned it back to cool and turned on the ac ( a few hrs into the day when the temp was rising) and it only blew hot air. Thank you for asking about your Toyota Camry. From the sounds of it, you may be experiencing a slow refrigerant leak. After refrigerant was added, you mentioned the A/C worked fine. Based on your description, we recommend using the Red Angel A/C Stop Leak (https://store.gobdp.com/a-c-stop-leak-aerosol-00222/) to help stop the loss of refrigerant and get the system back to normal functionality. You would add the product with the system evacuated, and then top if off with refrigerant after applying the product. Thank you for asking about your Buick LeSabre. Have you measured the low side and high side pressure readings with a gauge? If the condensation line is clogged, you will need to use a shop vac or special pump to remove the clog from the line. You may want to bring the vehicle to an A/C specialist for a proper diagnosis. Thank you for asking about your Chrysler 300c. Does the A/C blow hot air when it’s on or is it just constantly blowing hot air whether it is on or off? Please contact our technical support line at 888-863-0426 so that we can get a little better understanding of the vehicle’s condition and be able to make any appropriate recommendations. I have a 2014 Ford Fusion Titanium. The air in the front vents consistently blows cold but the air in the rear vents varies from cool to warm to hot…mostly just hot. There are no controls to independently control the rear air, only vents. Any thoughts or suggestions on the problem would be greatly appreciated!! Thank you for asking about your Ford Fusion. Based on your description, it sounds as though there is an issue with the blend door actuators. The actuators are what move the blend door, so if these motors are not functioning, the blend door may be stuck in a certain position. Having the actuators checked would be a good place to start. Thank you for asking about your Buick Verano. Based on your description, we recommend checking the refrigerant level. If it appears low, it is possible you are dealing with a refrigerant leak. If that is the case, we recommend using the Red Angel A/C Refrigerant Stop Leak to help stop the loss of refrigerant and return the A/C to normal functionality.